Here in Washington, the compound adjective of the moment is “shovel-ready.” That’s the description of stimulus projects that are ready to go on the day President-elect Obama takes office. For the most part, as the term implies, it refers to large infrastructure projects like the building of new roads or bridges. 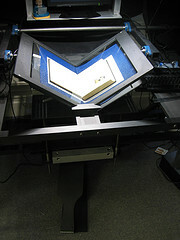 But one obvious project that’s also ready to go on day one is the scanning of the contents of the Library of Congress. Today there’s a ceremonial event at the LC to showcase the thousands of books already scanned as part of the LC’s partnership with the Internet Archive, and to highlight the potential of a mass digitization project. It goes without saying that this project could be extended easily to other cultural heritage institutions. IA already has a dedicated scanning center in the LC, and just needs the funds to expand its project. Let’s all tell our representatives to support such an effort. Given that the “HYP Solution” I advocated last spring is now extremely unlikely to happen given the sharp downturn in university endowments, let’s do what should have been done in the first place. Let’s not leave mass digitization to Google. Scanning all public domain books in the Library of Congress is pocket change compared to other investment projects, and like roads, it is infrastructure that will have enormous utility for decades to come. Shovel-ready, move over. We’re scanner-ready. Is there any organized effort to contact representatives that we could join? The IA’s archive has been critical for our research, with the only negative being that it’s not big enough. I would happily write a testimonial in support of funding a non-Google book scanning alternative. This is a great proposal. 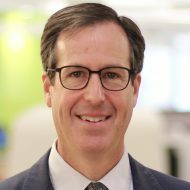 Do you think an expansion of the National Digital Newspaper Program is also in the works? Is it possible that this could signal the inter-institutional collaboration for digital projects, something we really need in order to really talk about? that we need to _correct_ that o.c.r. output too. So what do we do to get some momentum on this idea? Anybody know Joe Biden? Robert Byrd?